Susan Walker uses a “30 Questions” method to test the accessibility and usability of the content they create at the Rutgers University Camden campus. I first saw Susan talk about her “30 Questions” method at WordCamp US in Nashville in December 2017. We talked a bit about her talk there, but I still had more questions, so I invited her on the show. 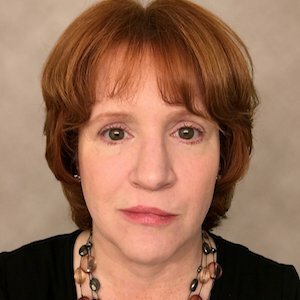 Susan Walker is a web developer with OIT-Camden at Rutgers University, where she manages several WordPress multisite installations; researches solutions for common needs; and develops themes, plugins and maintenance scripts. Altogether OIT-Camden hosts more than 250 WP sites across several multisites as well as a number of standalone installations. She joined Rutgers in 2011 following eight years with a Fortune 500 company providing IT and consulting services to universities. Prior to her tech career she was a the education reporter at the Port Arthur News in Port Arthur, Texas. Susan holds a bachelor of science in Mass Communication from Lamar University (Beaumont, Texas) and a diploma in Computing from the University of Oxford. She is a native of New York City and currently lives in New Jersey. Here are my notes from my first listen to our conversation. Not a full transcript, but I hope it helps you find your way around the interview.